This article was originally written for a breed club's yearbook, but it missed their printing deadline. The author has kindly agreed to it being reproduced here, our gain! 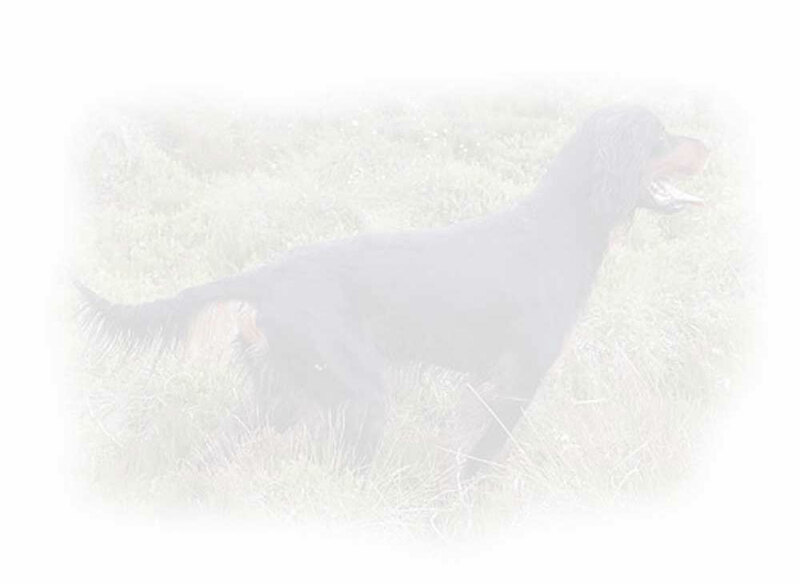 When I was asked if I would write about the Gordon Setter Breed Stake which took place some six months earlier, my first thought was - shall I give the usual type of report commenting on the weather, location, results etc. etc. My second thought (momentous day - two thoughts in the space of 10 minutes) was tell them about the breed stake and possibly what they didn’t want to hear. Well I do remember that as I waited for the Trial to begin, I was looking at the stunning landscape and Moor and thinking what a fantastic place to practise our sport. We are very lucky people, and I was also very fortunate to have as my co-judge Fiona Kirk, who from a working bird dog background has a pedigree second to none. And this was proven throughout the day with her keen observations and knowledge of our sport. Also I remember overhearing someone in the crowd extolling the virtues of Gordon Setters in the 60’s , 70’s, and 80’s and how much better they were then, well I don’t think that is true, we tend to remember the good and forget the bad, there were good dogs but crucially they had good trainers and handlers. Our breed stake this year contained such good dogs, and by good I mean dogs that first and foremost fulfil the standards of the most discriminating sportsman, in performance and quality, showing natural intelligence and a desire to hunt and point game with pace and style. All the dogs that obtained awards on the day displayed these crucial attributes, but sadly the Gordon Setter Breed Stake often contains more than its fair share of entrants that clearly don’t, and this year was no exception. If you don’t agree with the last few lines, now is the time to tear out this article and file it in the bin, but if your feeling good with life and can take some constructive observations read on. But - now here comes the rub - our breed, more than most, seems to attract an unusually high number of handlers whose enthusiasm for the breed is so intense that it clouds their senses to the true standard of their dogs performance. Why I don’t know. But I do know there is a lack of basic training and quite a few lacked speed and any sign of willingness to hunt in a definite bold and positive manner. This was apparent in many dogs during the trial and this is not good enough for the show case event of this beautiful breed. I am not going to give you letter and verse on how to train your dog, only that your goal when training should be not how soon you can get him on birds or run in a trial. Your aim should be to produce a dog that is under control and could be safely shot over on a shooting day. This takes time. The pride and satisfaction of owning such a dog will make all the effort worthwhile. We are guests of the Moor owners and representatives of the breed and should in return produce a reasonable standard of gundog work. Terry Harris (Sparkfield Pointers and Clitters Gordon Setters) judged the 2007 Gordon Setter Field Trial Societies' Open Breed stake together with Fiona Kirk. Terry is an A Panel Judge and has won the UK Champion Stake twice in 2005 and 2007, making seven of his Sparkfield Pointers into Field Trial Champions along the way.